Most pharmaceutical and biotechnology processing plants require filtration equipment capable of producing a wide range of water qualities, including USP, deionized and WFI water. However, production of ultra clean water is very costly, and requires precise flow measurements at various stages of the process. 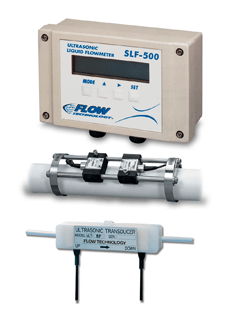 Flow Technology’s sanitary turbine meters offer an ideal flow metering solution in purified water applications. Paired with linearizing electronics, the meters provide better than 0.25% accuracy. They feature rugged ceramic bearings which, unlike tungsten carbide and epoxy impregnated graphite bearings, are able to withstand the corrosive effects of ultra clean water. 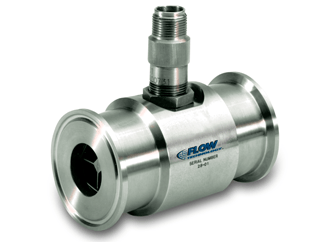 For applications that don’t require the ultimate in accuracy, Flow Technology’s clamp on ultrasonic meters offer a very effective alternative solution.